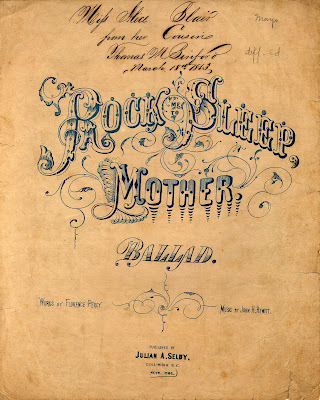 These typographical songsheets of American ballads go out to all the Mom's who taught us the ABCs. 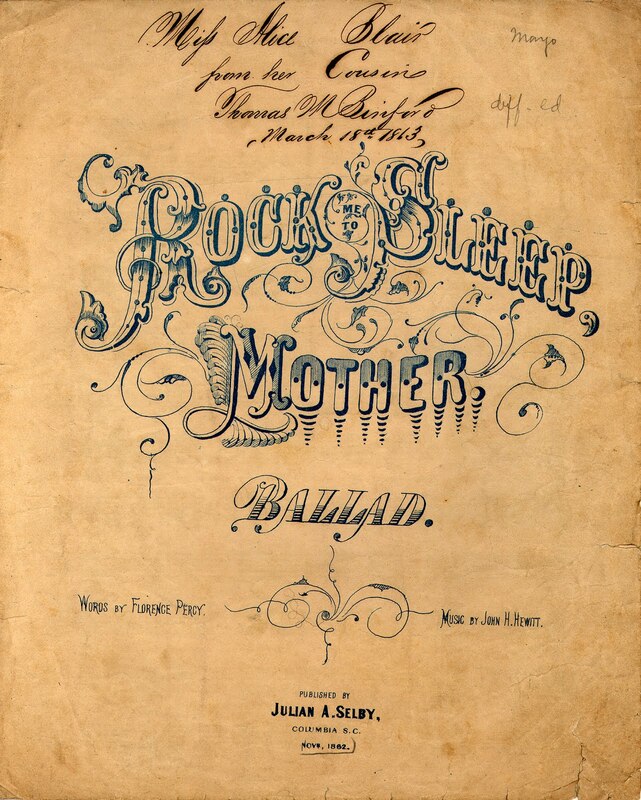 They are all from the Duke University Collection of Historic American Songsheets from the 1850s to 1920s. 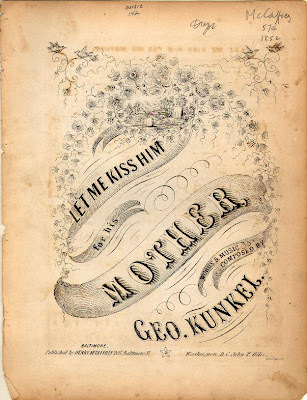 These elaborately designed title pages with decorative flourishes and hand-lettering were the style of that day and skilled artists were employed to design and print them as lithographs. 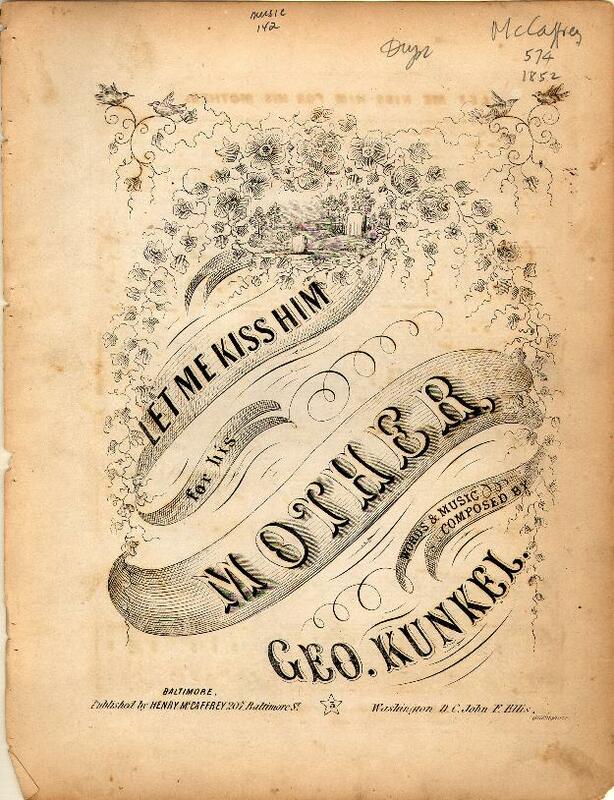 All of the motherly music sheets featured here happen to be from the 1850s. 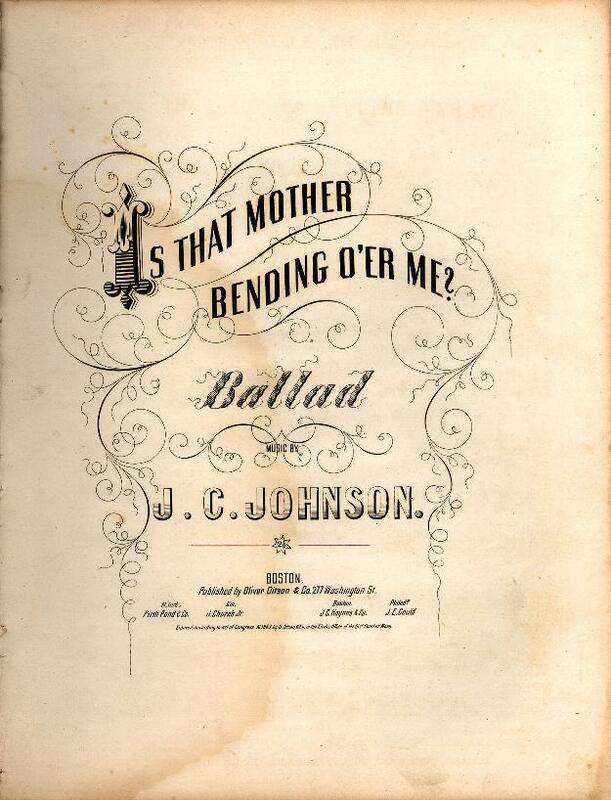 This dour ballad above is from the mid 19th century, and has a lovely decorative cap I. Sorry to offend any balladiers out there, but I just cannot understand who wrote this stuff or why it was ever popular. 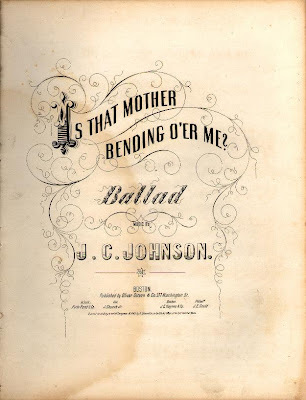 I cannot imagine any of these sentimental ballads measuring in any way up to the elaborate hand-lettering featured on their lovely lithographed title pages. They are really works of art. I suppose many of the songs were written in hard times during the American Civil War era, but did they have to be so dreadful? This music was popularized during that time by a well-to-do class who had a piano in their parlor, and took apparent pleasure from singing many of the virtuous melodies. 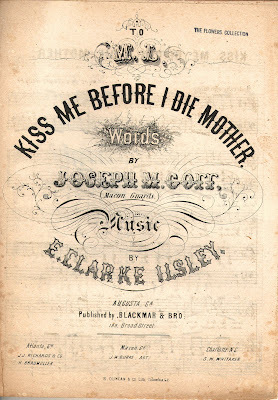 Publishers eventually began to sell nicely bound catalogs of this sheet music with custom-stamped names to patrons who could afford them. I have found several of these large books in years past and intend to display some of the images from them on another day. They are quite wonderful type specimens for study. This song title above is pathetic, but the typography is exquisite. 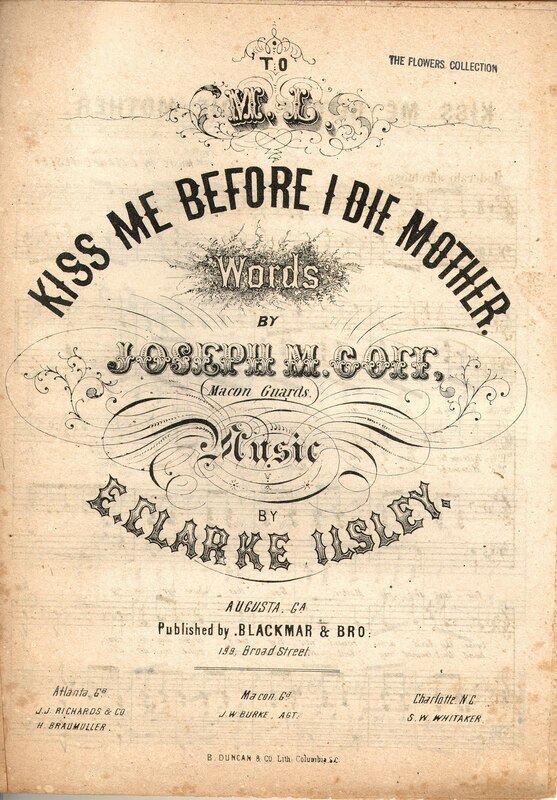 Lovely type, grim title. Even so, to all mother's here with us and in spirit! We celebrate you!